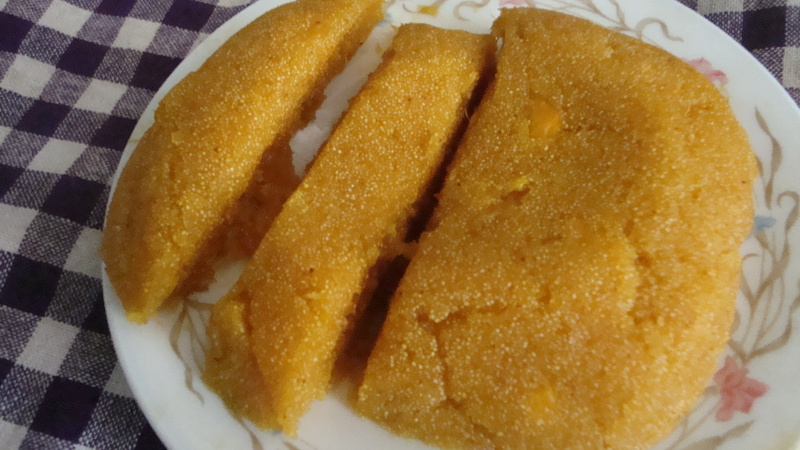 When I asked my mother to teach me a simple and quick to prepare Sri Lankan dish for an informal international pot-luck with friends a year ago, she taught me to make Kesari. 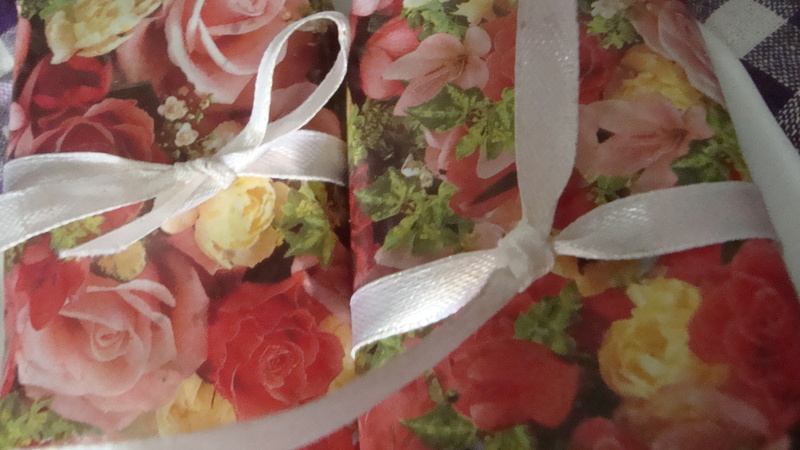 I took a few photos of the outcome of that lesson. 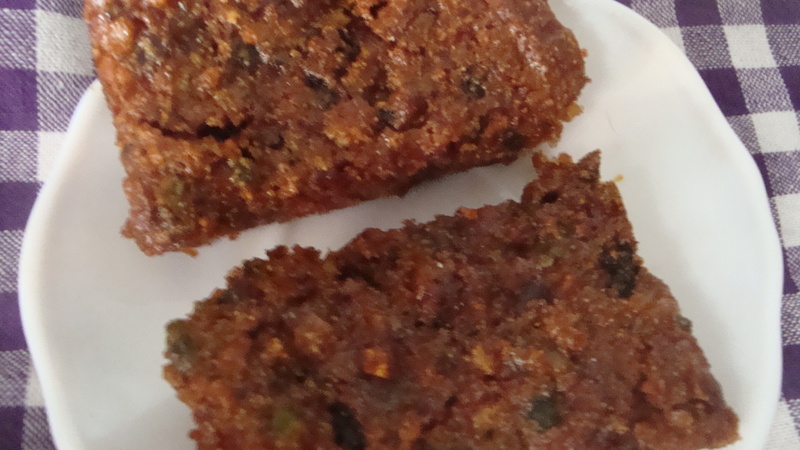 So, today, I thought I would share the recipe for the first Sri Lankan (and Indian) recipe that I officially learnt along with the photos from that day. 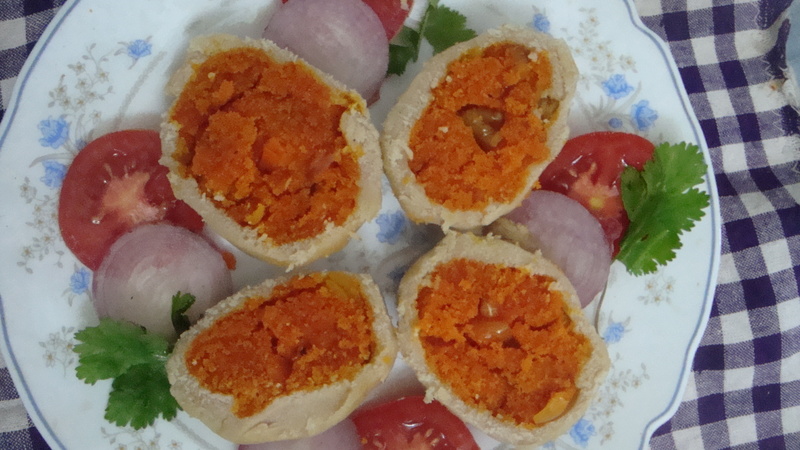 Kesari is delicious both as a dessert and a special snack and takes very little time to prepare. In a saucepan, boil a cup of water and the sugar. When the water starts boiling, add the kesari powder and either the vanilla essence and pinch of crushed cardamom or drop of rose essence. Stir continuously, while adding the semolina. When the mixture starts to thicken, add the margarine while continuing to stir. 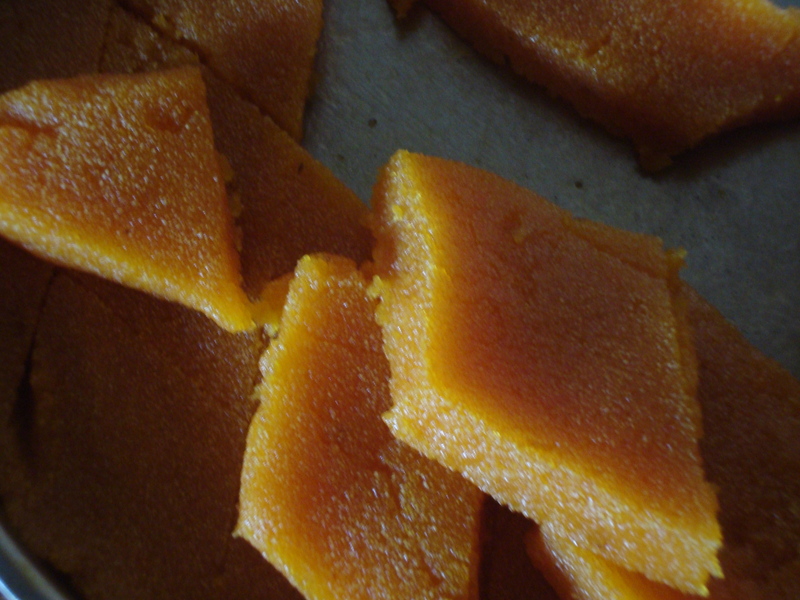 Remove the pan from the stove and transfer the kesari to a plate. 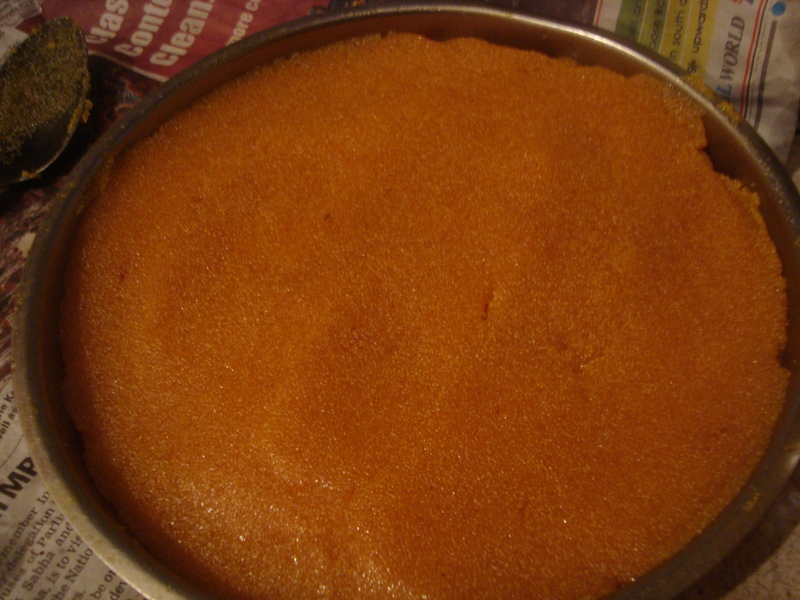 Level the kesari on the plate and allow it to cool for at least 10 mins before slicing and serving. 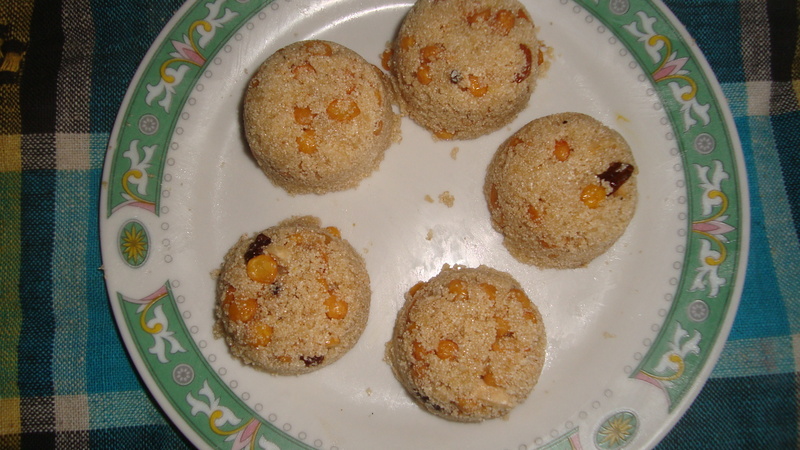 I will be sharing two delicious vegan recipes, of my mother today, that are semolina (ravai) based. 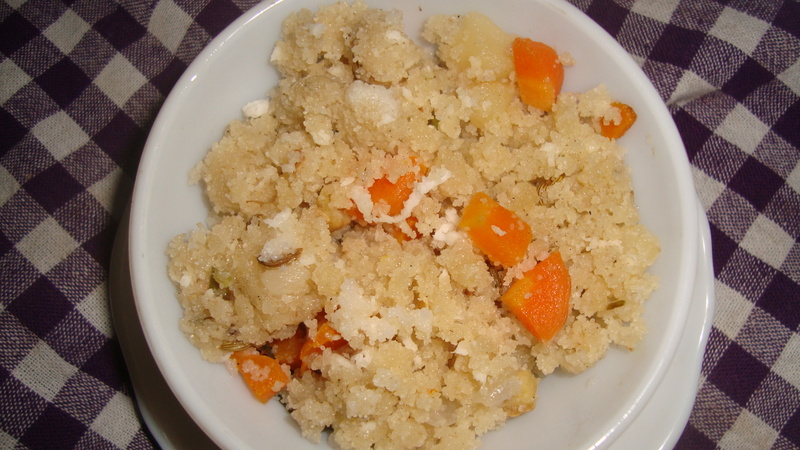 The first recipe is uppuma, a typical simple and nutritious breakfast dish. Heat the sesame oil in a pan and sauté the fennel seeds, curry leaves for a minute or two. Add the rest of the chopped vegetables to the pan and continue to sauté for about 5 mins. Add a cup of water and salt to taste to the pan. When the water starts boiling, add the semolina and stir until it starts coming together. 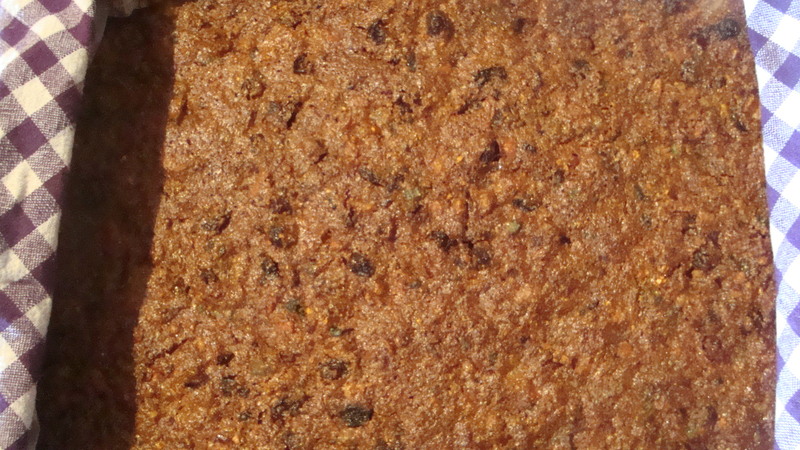 Before removing from heat, the freshly scraped coconut can be optionally added.